NEW YORK — Your sister, best friend or beloved cousin just had her first baby and you’d like to treat your favored newborn to some luxury. But where to begin? The company has lots of options if you can’t afford the top of the line, hand-built Silver Cross Surf Aston Martin, for example. It’s available at Harrods for about $4,000, as is the Marie-Chantal Kensington for nearly $2,000. 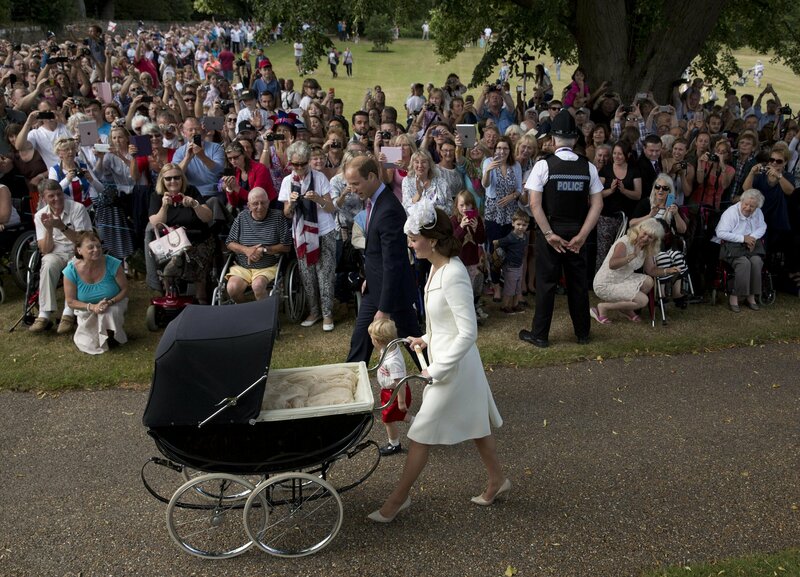 They convert from carry pram to stroller. Silver Cross is available in stores around the world, including the United States. Let’s just cut to the chase. While thoroughly modern Meghan may choose less traditional looks for her No. 7 in line for the throne, sister-in-law Kate has some favorite British brands for her brood, including No. 3 Prince George and little sis Charlotte. The bite-size princess, especially, is quite the fashion influencer, with some of her smock dresses selling out in just a few hours. Thrifty Kate does believe in passing down, though she has two boys and a girl. Some of her brands: Amaia (Charlotte’s $184 burgundy coat for her first day of school), Pepa & Co. (George’s whale jumper — think sweater — when he was 3) and My 1st Years, because who can forget that adorable monogrammed robe George sported to meet then-President Barack Obama? Markle has embraced mindfulness as her pregnancy has progressed. Jerico Mandybur is fresh out with ”Neo Tarot: A Fresh Approach to Self-Care, Healing and Empowerment,” a beautiful deck of illustrated tarot cards published by Hardie Grant and available on Amazon for $22.48. Mandybur shows how to use the ancient cards and practices as healing tools first and foremost. Stella McCartney isn’t a Californian, but she’s feeling “cool California vibes” in the latest from her children’s collection. That includes an adorable gray baby jumpsuit (for any gender) with a green and blue snake wending through, done in 100% organic cotton for $80. There’s a palm tree print in blue, yellow and green on a gray T-shirt for $58.